One of May s weddings was of Erin and Ali who chose the exclusive El Cano Villa in Sotogrande with its magnificent views and great gardens. Before I continue, quick word of advice, if you think this is the dream Villa for you contact Scott at Sunshine Weddings ASAP as there is limited availability! The bride and groom wanted lots of casual photos and a few posing ones for Erin and the bridesmaids, Ali being not too comfortable in front of the camera. I am not a pushy photographer so after taking the pressure away I think we didn’t do too bad with him. 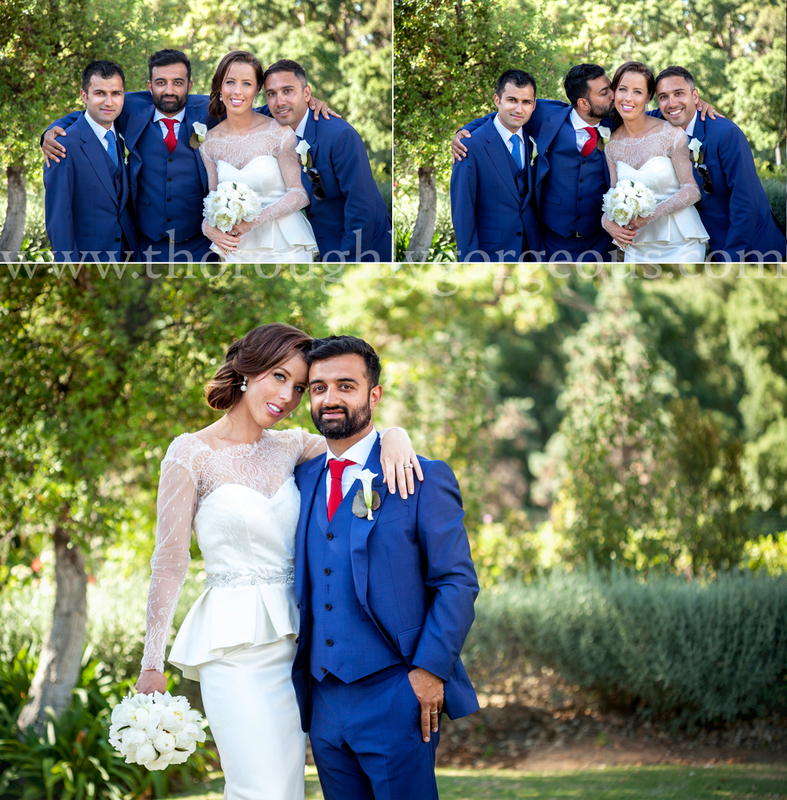 Erin had styled herself to perfection, she was a very graceful bride, in fact all the wedding was very refined with blue, coral and gold the colour theme chosen and the photography had to match her poise. I always try very hard for my photos to match the whole feel of the day, within my style I emphasised the elegance of the look. The ceremony was great and had an unusual participant as you can see in the photos below…the spoilt one of the family! The whole day was flawless, from start to finish. The weather was glorious, the food was yummy, the drinks flowing, the profiteroles cake looked gorgeous ..yes, looked, I didn’t get a bite…the moment I turned around it was all gone! 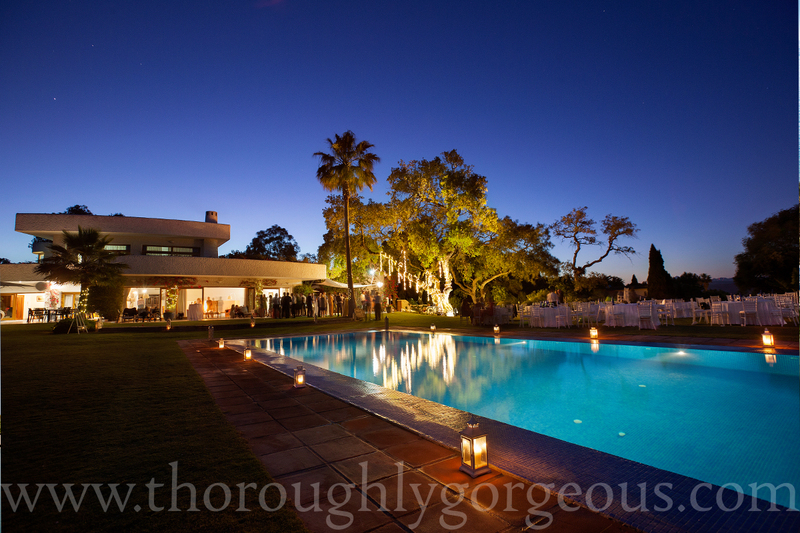 The Villa has a majestic big old cork tree near the dance area that was decorated with fairy lights and made the night-time magical. Congratulations to Erin and Ali, lovely people with a lovely, fun group of family and friends, I m sure they have a great future together.